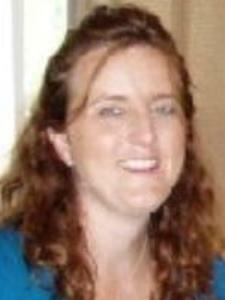 I am an experienced middle school math & science teacher, certified in grades 5-8 mathematics in NH. For 9 years I have also taught an advanced class in Algebra I using a high school textbook. I have over 4 years of tutoring experience, ranging from early elementary mathematics to college algebra. My teaching style is very dynamic; I enjoy using manipulatives and real-life examples to ensure understanding. Students and colleagues often tell me that they appreciate my ways of explaining difficult concepts, using sketches, outlines and especially lots of memory tricks. As a tutor, I would also spend time working on study skills and organization, both of which are road blocks for many adolescents. I hold a BA from Wellesley College and a Master's in Education from the University of Washington. I have 9 years of experience teaching algebra I, as well as 5+ years of tutoring both high school and college students in their algebra courses. As an eighth grade math teacher for 9 years, I have developed many methods that have helped my students become successful. I will focus on the basic skills whenever necessary to build confidence and accuracy. I will also guide your student to see the "bigger picture"; rather than just memorizing procedures we will strive for understanding, making connections to real-world applications along the way. Cheryl makes the math problems easy to understand!